Grew Up… in a Catholic orphanage. Elwood and his brother Jake were always getting into trouble as children, and didn’t break the habit when they got older. Inseparable to the end, he and his brother tattooed the letters of their names across their knuckles, and together formed a rhythm and blues band. Living… in Chicago. Elwood is thrilled because after three long years he has finally been reunited with Jake, who just finished serving time for armed robbery. Unfortunately Elwood’s elation doesn’t last long, as the brothers soon discover that their childhood orphanage is going to be foreclosed if they can’t pay $5000 in property taxes. Profession… band member. Elwood will always be a blues singer. It is only proper that he should be getting the band back together, because although he has spent years away from the band, he’s still got the blues. Interests… R&B, the Bluesmobile, and following his brother to the ends of the earth. Relationship Status… single. Elwood is a cool cat whose effortless style attracts many women, but he’s just not ready to settle down yet. He’s all about the music. Challenge… getting the band back together. 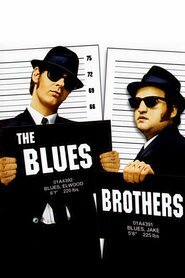 For Jake and Elwood, this isn’t just a personal quest, but a “mission from God.” Unfortunately, the only thing the Blues Brothers are better at than making music is making enemies – and their desperate errand is beset on all sides by cops, ex-lovers, and neo-Nazis. The brothers will have to muster all of their considerable charm and luck if they want to have any chance of saving the orphanage. Personality… cool, stoic, and unafraid. Elwood is the kind of guy who will speed away from the police to avoid arrest and actually escape. Elwood’s most redeeming characteristic is his loyalty to his brother Jake and to their childhood home, the Catholic orphanage. Elwood Blues 's popularity ranking on CharacTour is #2883 out of 5,000+ characters. See our top-ranked characters and read their profiles. 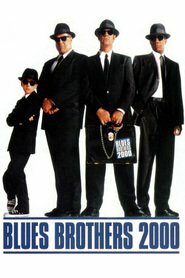 Direct out of jail, Jake Blues and his Brother Elwood are off on a ?mission from God? to raise funds for the orphanage in which they grew up. The only thing they can do is do what they do best: play music. So they get their old band together and they're on their way yet not without getting in a bit of trouble here and there.